Red Bull Music and Tall Racks Records have just presented a new initiative called Lift As You Rise. Lift As You Rise is said to be a collaborative project focusing on uplifting artists across South Africa. 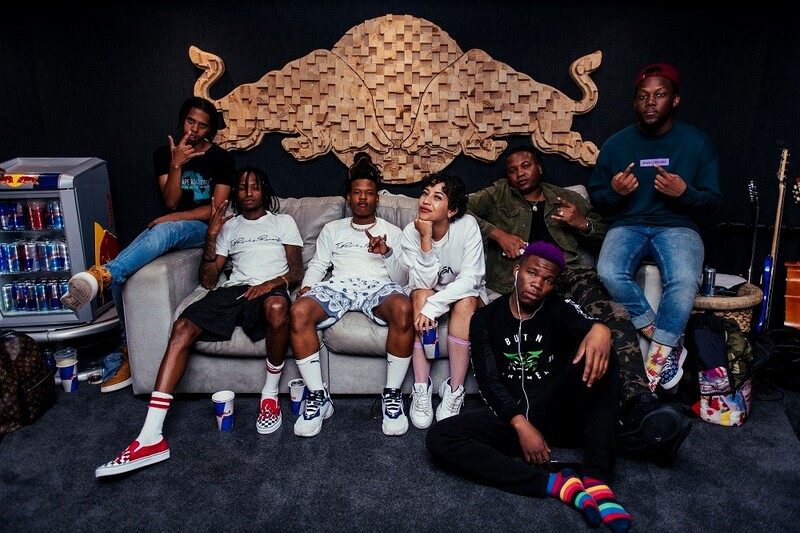 This project comprises of Nasty C, Tellaman, Gemini Major, Rowlene, Lastee and Zino D who spent a week in the Red Bull Music Studios Cape Town. Throughout the week they produced multiple open tracks which incorporate verses from the collective artists excluding 16 bars that allow for aspiring artists out there to add their verses and thus completing the track. The project calls out individual musicians that can contribute to the songs and add their part. Once they upload set tracks on their respective platforms with the correct tags, Red Bull Music and Tall Racks will select the best artists. They will be flown into the Red Bull Music Studios Cape Town where songs will be recorded culminating in complete tracks released to the public. With every step of elevation, the respective artists take, it is paramount for them to give wings to other artists.